We’ve already seen that one of the ways to decide if the risks are acceptable or not is the value of information. the loss value: what you can’t do any more if the information doesn’t meet your expectations. 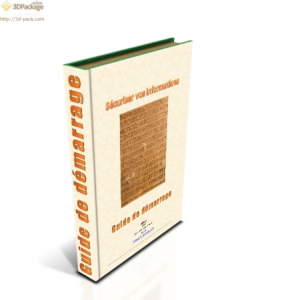 Another means – that may also help you to determine the usage value – is to use a management tool. We saw two weeks ago how the B.S.C. could help you to build your Security Action Plan. To finalize the risk assessment, we can use the SWOT (http://en.wikipedia.org/wiki/SWOT_analysis). 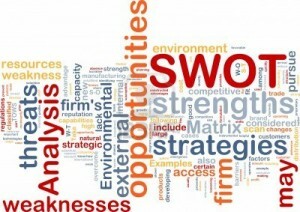 The SWOT, a key tool in Value Management aimed to propose a strategy, puts Strengths and Weaknesses in the internal factors while Threats and Opportunities are considered as external. Positive and negative elements, internal or external elements (to the organization or the security activities) that one can try to balance. A combination of factors that support the achievement of your objectives. Strengths are the risks you have already effectively covered. Strengths should be preserved to ensure success on the long term. Your security vulnerabilities, that’d help threats to concretize in negative events or could prevent you to reach your objectives. Your acceptable risks that require to be watched are weaknesses. The Weaknesses should be resolved to ensure success on the long term. The factor and tendencies that contribute (necessary but not sufficient) to achieve your business, personal or security objectives. Existing security solutions and applying recognized good practices are Opportunities. Opportunities can solve Weaknesses, increase Strengths and – if successfully exploited – help achieving your objectives. The virulence of the attacks you’ve already suffered or that affect competitors, that target your objectives, your business your information system – or these similar to yours. Remind you that it doesn’t only happen to the others! Threats are also the unacceptable risks you haven’t covered yet. Threats build on Weaknesses and reduce the Strengths. 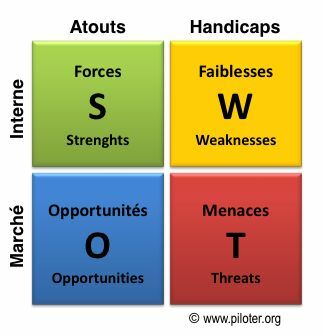 How to use the SWOT? The table should be easy to fill in if you followed the risk management process: context analysis and risk analysis. All information is at hand. Information value is a parallel element. Attraction Value can be a Threat, Usage Value is an Opportunity, Loss Value is a Weakness and Intrinsic Value is a Strength. 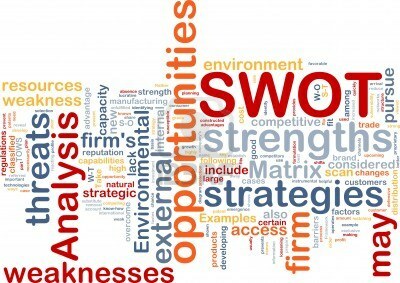 The specificity of the SWOT allows you to select one out of four strategies you’ll put in action with the B.S.C. W-T: Cover Weaknesses and counter the Threats. Your choice of strategy depends on the balance – or unbalance – of the four factors and can be as variable as the context. Hence, this choice is won’t be definitive. The “precaution principle” recommends to first use W-T, S-T and O-W strategies, especially if these factors are prominent. You see, using ‘alien’ tools isn’t difficult.